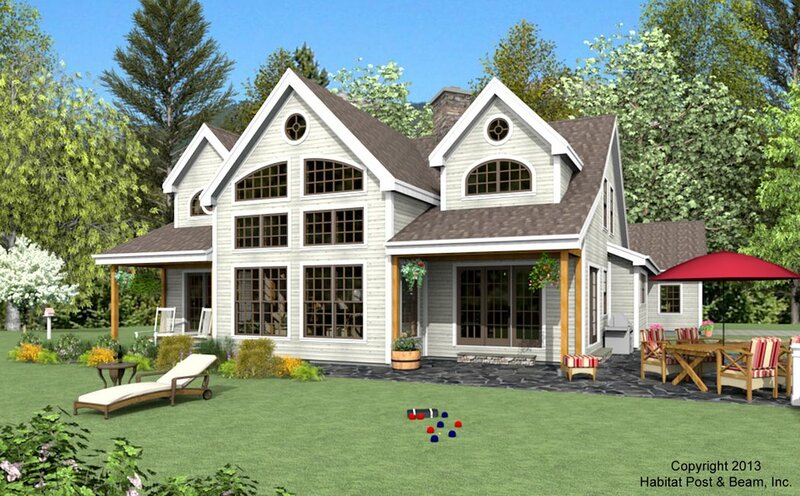 This custom home was inspired by our Forest model (seehttp://www.postandbeam.com/plan/133/ for more information). Coming in at just under 3000 s.f., the main level has a master bedroom suite, open kitchen/dining area, large great room with a cathedral ceiling, media room, pantry and laundry area, and a two-car garage. The upstairs has two private bedrooms with walk-in closets and a shared bath, separated by a hallway/loft that looks down onto the great room below. 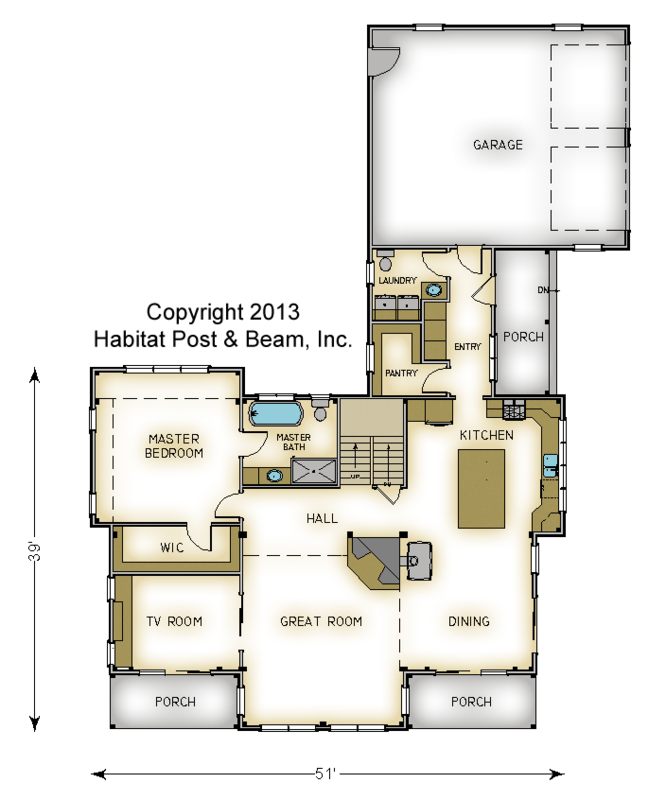 A full basement offers plenty of storage and utility space, as well as a root cellar. 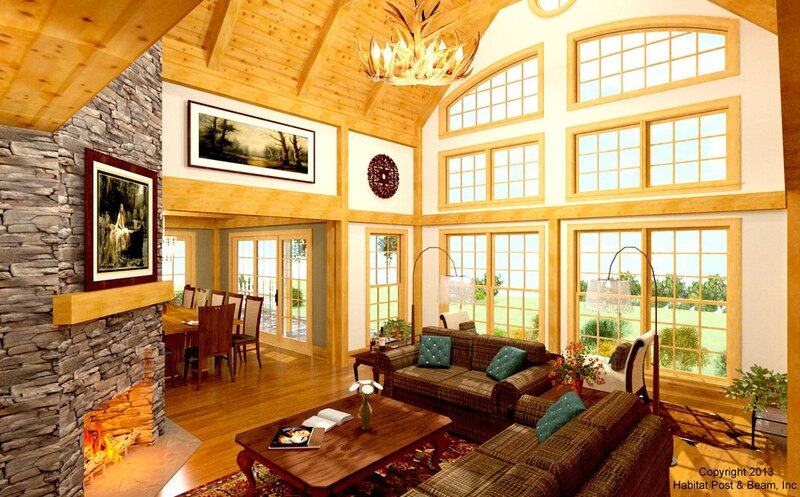 Package Price: $229,000 as specified below (from $207,000 to $258,500 depending on framing options). The standard price includes our Full Exposure Wall System, Plaster and Beam or Beamed Mid-Floor System (same package price), our Beamed Roof System over the great room, loft, stairwell and bath #1, and our Plaster and Accent Beam Roof System over the bedroom wings. The porches are our Liner Porch System. The garage is not included in the above pricing.